Here is a post that was originally seen as my contribution to the Sales Bloggers Union March Madness discussion. If you are smiling & dialing your way through March – it is time to take a step back and use some points brought up in Leanne Hoagland-Smith’s article March Madness Marketing Mayhem. Ideal & Minimum criteria are NOT the same thing, but time after time when I work with salespeople they are looking for someone anyone who qualifies to buy what they sell. It doesn’t matter if you sell to consumers or businesses – many of us go from deal to deal; saying yes because we need the revenue. Looking at ideal customers as a “some day – wish list” type of thing. Take a deep breath – yes we are talking about making your prospecting pool smaller. Before you freak out: What would your business look like IF all of your customers met your ideal customer profile? The crazy thing is that most people answer YES, YES, and YES – yet haven’t taken the time to figure out what that ideal customer profile looks like. If we don’t know what our ideal customer looks like, how will we ever know when we find them? To me there is nothing worse than the thought that my ideal customer might be on the other end of the prospecting call and I will not even recognize them! I would like you to change your perspective and begin to think about prospecting for your ideal customer. Every single time you pick up the phone to look for new customers OR new business with existing customers; have your ideal customer profile right in front of you, check off what you know and don’t know – then have conversations to gather the answers you need. Don’t get me wrong, if you come up with 9 characteristics (both measurable & subjective) – don’t hang up if someone doesn’t meet all nine! If they have 7 of 9 (*sigh* couldn’t help myself) don’t kick them to the curb; you will probably be able to have a nice business relationship. On the contrary, if they only meet 3 of your 9 characteristics – run, run away NOW! Even if you earn their trust and business (doubtful) long term they will cost you more energy and effort than the money you will earn. 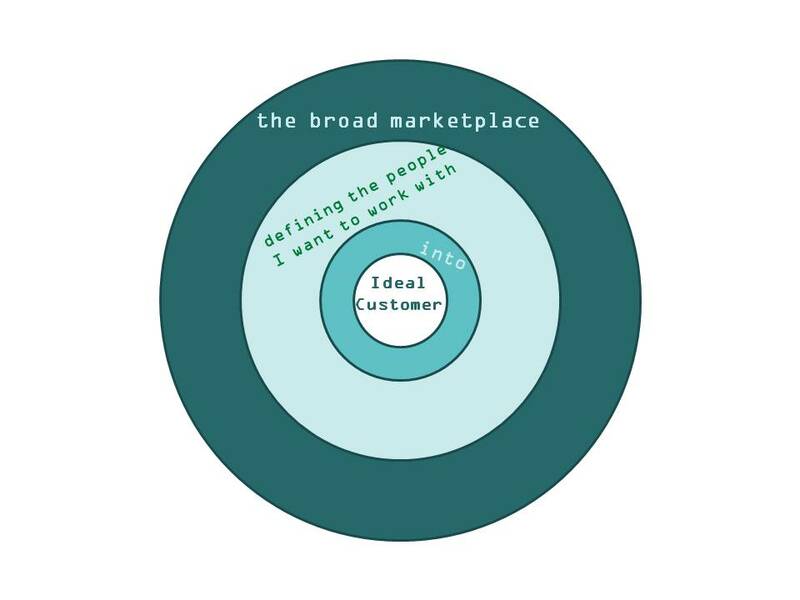 What Makes A Customer Ideal? Step 1 – Look at your Top 5 Customers. Do you like doing business with them? Would you be thrilled if every single customer was like them? What does their buying process look like? Who has authority to buy? What do the people look like? How often do they buy what you sell? After my short list – is there “stuff” about what you sell or doing business with your company for you to add? Step 3 – Begin to look for those types of companies when you’re calling. An additional bonus is; when people ask you who you do business with – clearly define it for them, it is much easier to get referrals to people you WANT to work with! Now add in your own emotional intelligence (need help? check out Leanne’s ps offer) – it takes all the madness out and leaves pure clean sales method.